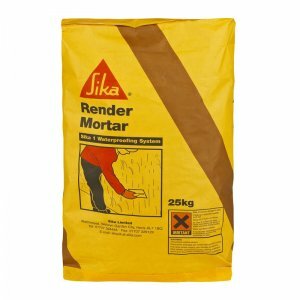 Sika 1 Screed Mortar is part of the Sika 1 Structural Waterproofing System and is a pre-batched multi-purpose screed mortar. 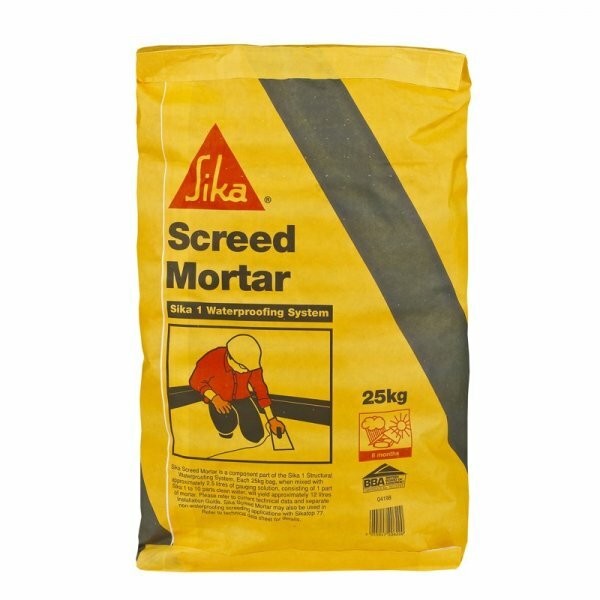 Sika 1 Screed Mortar is a factory proportioned pre-bagged powder component containing specially graded aggregates, sand cement and additives, that is mixed with Sika 1 Liquid and water as the gauging liquid to produce waterproof floor screeds as part of the Sika 1 Waterproofing System. 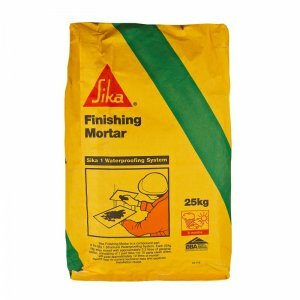 Sika 1 Screeding Mortar is part of the Sika 1 Structural Waterproofing System and is a pre-batched multi-purpose screed mortar. Sika 1 Screed Mortar is a factory proportioned pre-bagged powder component containing specially graded aggregates, sand cement and additives, that is mixed with Sika 1 Liquid and water as the gauging liquid to produce waterproof floor screeds as part of the Sika 1 Waterproofing System. 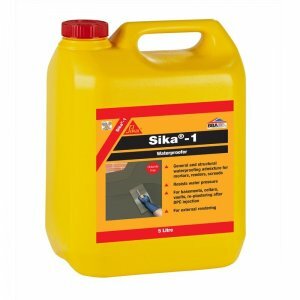 – Part 4 of the Sika 1 Structural Waterproofing System. 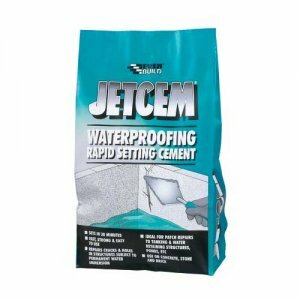 – Structural waterproof screeds to resist water pressure below ground. 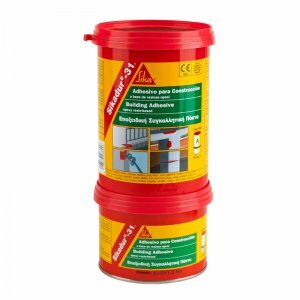 – Part of the Sika-1 Structural Waterproofing System. – Quality controlled production and delivery. – Simple and consistent mixing with low shrinkage. – Colour coded packs to aid selection and quality control. – No impurities – reduces efflorescence damage. 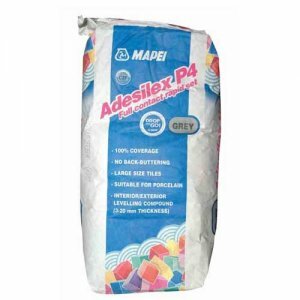 – For brick, concrete and stone substrates. – Wall, render and screed application internally and externally.